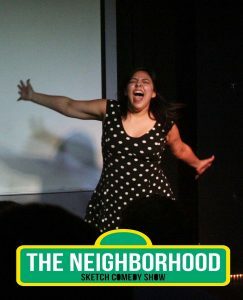 The Neighborhood Sketch Comedy Show presents offbeat characters and absurd premises for your amusement! Think Saturday Night Live but local! Laugh out loud content every month! Led by executive producer, Amy Jordan, every show is written and performed by The Neighborhood staff: Virgil Shelby, John Gholson, Scarlett Alexandra, Griffith Cook, John Harper Reynolds, George Feledichuk, and Sam Stepp.